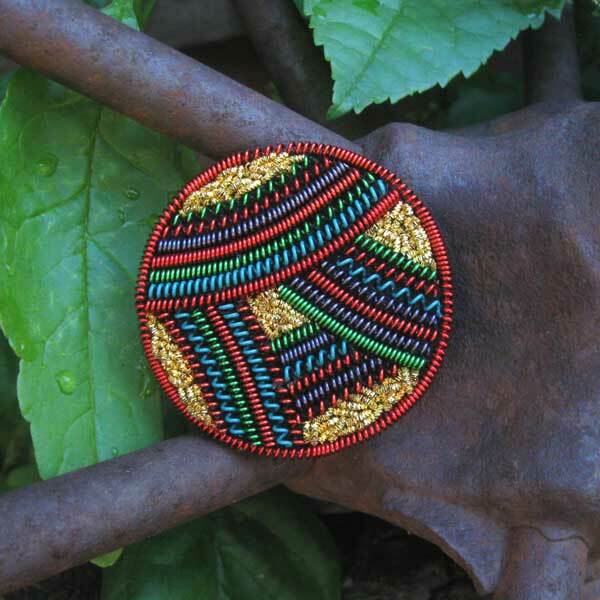 Goldwork Jewelry Kits – Winners Announced! Good morning, and happy Saturday all around! Today, just a quick blurb to let you know who won last week’s give-away for Tanja Berlin’s goldwork pendant and brooch kits, which you can read about here, and to tell you (er, maybe warn you?) what’s coming up on Needle ‘n Thread! First, the goldwork kit winners! Hi Mary, it is thanks to you that I discovered Tanja Berlins online classes last year. I started with her fox, I had never done needle paining before and with the naivity of a novice decided to take this class. In the beginning it was very daunting but with Tanjas excellent notes and commentary I soon thought about how each stitch should be placed. I am so proud of how it has turned out and it now hangs with pride on my wall for all to admire. I have since completed her blackwork butterfly and her lovebirds which are wonderful. I have also made some wonderful online friends from these classes. I am thrilled that Tanja has opened an Etsy site and would love to embroider everything. Congratulations, gals! Please drop me a line with your mailing address and I’ll send the information along to Tanja, who will take care of you from there! I’ve been working on a few Stitch Fun! tutorials, so I’ll be rolling them out to you soon in the upcoming days. I’ve made some progress on some projects and learned a bunch of things along the way that I think you’ll appreciate, too. We’ll chat up some stitching tips. And then, there’s this book I’ve been engrossed in. I’ll show it to you up close. Oh, and some thread talk. Yes, I’ve been playing with thread. Again. We might as well play together, right? Hope you have a terrific weekend, with plenty of time to play with your needle and thread! Here in Kansas, we started the weekend stormy and wet (which is good) and this afternoon, we’ll end up stinkin’ hot and muggy – a perfect day to stay inside doing…. Gosh, I know how to have fun! Don’t be jealous, now. Congrats to the winners! Mary, the stuff coming up sounds wonderful! Congrats Debbra and Heather! Enjoy! And a hearty congratulations to Debbra and Heather. I’m sure you’ll have great pleasure in stitching and wearing these beautiful items. Congratulations to Debra and Heather I hope you both enjoy the lovely embroidery items. Another project to keep you extra busy, enjoy. I look forward to all the up and coming blogs and I hope you enjoy the housework and laundry have fun. Speak Monday.